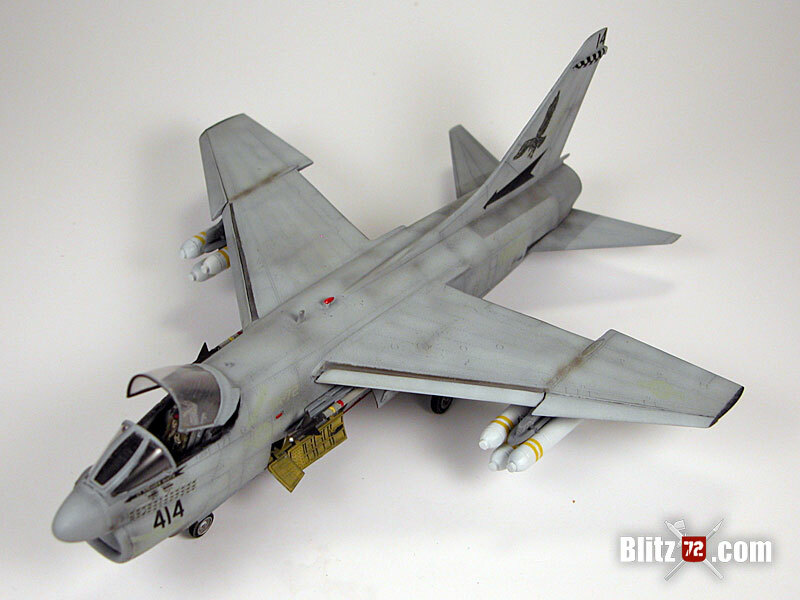 Fabian Vera shares his amazing 1/72 Hobby Boss A-7E Corsair II from VA-72 “Blue Hawks”, one of the two Squadrons that against all odds fought with the veteran SLUFF in Desert Storm. The HUD data glows over the dark desert blurring past 150 ft below the jet. Even with the drag of 6 Mk 20 Rockeye cluster bombs and two Sidewinder missiles, the airplane is pressing on at a hair under 520 knots. Navigating a fully loaded combat airplane fast and low at night over hostile territory is something that can put any jet and crew to the test. But this is no ordinary jet, this is an A-7E Corsair II and thanks to the moving map display the pilot knows exactly where he is. It is Jan 25th 1991. 1 hour 20 minutes and an air refueling ago, 14 A-7Es from VA-72 departed the deck of USS Jonh F. Kennedy (CV-67) in the Red Sea on a deep interdiction sortie to strike Iraq’s H2 Airfield Compound located 350 kilometers West of Baghdad. Exactly, the womb of the beast. But, as it turns out, these were not ordinary units either. 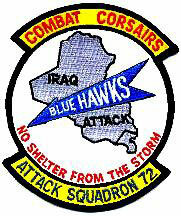 Led by CDR John R. Sanders as CO and Capt John “Lites” Leenhouts as XO, VA-72 “Blue Hawks” along with VA-46 ”Clansmen” both had seasoned pilots on its ranks. However, the USN in all its wisdom had scheduled for these two units to retire their veteran and “obsolete” SLUFFs, or Slow Ugly Flying F*****s and transition to the F/A-18 Hornet by the time deployment came. In other words these men got entangled in a war that their jets were no match for… or were they?. 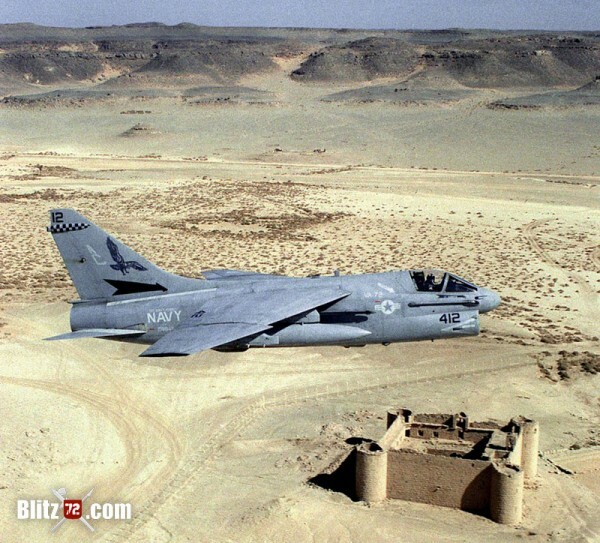 On Jan. 17th, the night Desert Shield became a Storm, both VA-72 and VA-46 took their veteran birds to war right next to more exotic and modern hardware like the USAF’s F-117s. 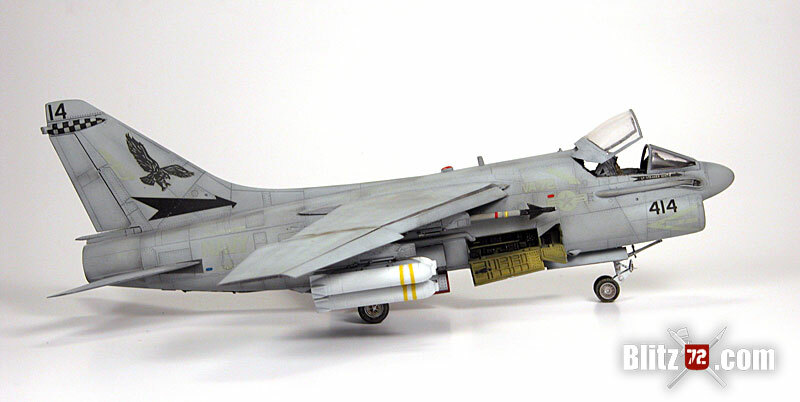 Still the old Corsair A-7E would prove invaluable during the whole War, hitting heavily defended targets deep inside Iraq, striking retreating Iraqi forces out of Kuwait and supporting the troops on the ground time and time again. However, in the cockpit of A-7E #414 none of that matters now. A precisely orchestrated play of destruction is about to begin. Dimly lit shapes start to make themselves visible in the far end of the flat stark desert until flash fills the night with almost eye hurting brightness. Parachute deployed LUU-2 flares illuminate the target stage. 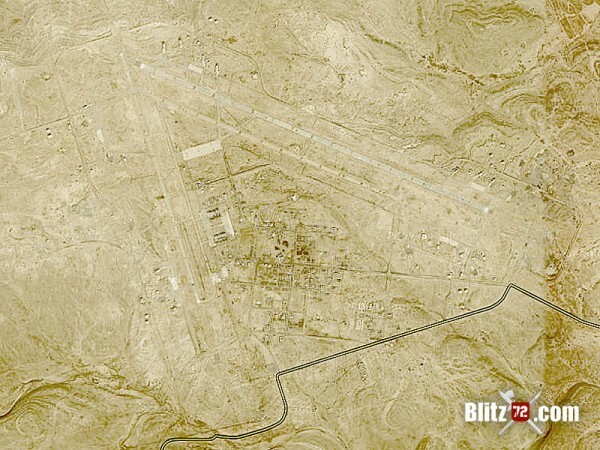 Sinister and surreal polygon shapes are drawn like chalk marks on a blackboard and there is no doubt, this is Iraq´s H-2 Airfield. H-2 Airfield compound (view site in google maps )is particular in its trapezoidal shaped shelters and diagonal runways lines. Built by Yugoslavian contractors in the mid 70s, this super base had both surface and underground bunkers and a network of tunnels and corridors connecting them. The funny shaped Aircraft shelters were hence referred to as “Yugos” by Intel personnel first and then by the pilots themselves and were armoured with a 4ft thick steel reinforced concrete walls and 2ft sliding doors. The base air defenses themselves spread 20 miles out in every direction, but thanks to the EA-6B Prowlers jamming and the SEAD attacks of the previous days these defenses were fewer than usual and more reluctant to make themselves “visible”. As much as 8 columns of black smoke raising from the base evidentiates the SLUFFs are not the first to visit tonight. In fact the F-117s from the 37th TFW came not long ago and struck the bunkers with GBU-27 glide bombs. As Iraqi personnel is salvaging materiel and moving around equipment after the F-117 attack, the A-7E #414 lines up on its assigned target on the base prepared to literally rain on their parade. The sky is filled with a rather heavy screen of Triple A fire, the daunting snakes of light and fire tangling and dancing over the black yonder that serves as backdrop. They are hungry and looking for a prey but they won’t be so lucky, not tonight. At 250 ft and pressing maybe a tad faster than it should, the lead A-7E releases the full package of 6 MK 20 Rockeye Cluster Bombs and the resto of the formation follows. These bombs are nothing but cylindrical dispensers that upon release open themselves unloading a shower of bomblets of several types. These sub munition could be anything from retarded explosive, mines, even leaflets. In this case it is armor piercing shaped charges. A total of 1482 bomblets per aircraft are thrown over an oval carpet of roughly 20.000 sq ft. One of its pilots described delivering the weapon felt as “pop corn popping out”. But the life of a SLUFF jockey was not flawless. 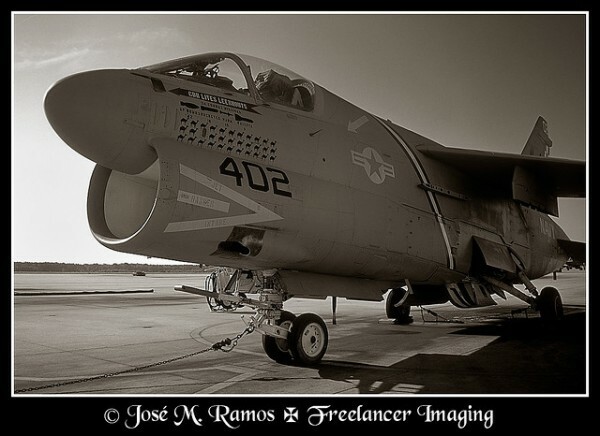 If there is one thing all the A-7 pilots would agree on, is that the jet’s TF-41 engine was underpowered. In fact it wasn’t rare for the aircraft to lose 20 knots immediately after being released from the catapult on Max gross weight launches. Not fun at all. Thus, when the aircraft needed to take off with a full compliment of 12 Mk 82 500 lb bombs for instance, it was common practice to launch it without a full load of fuel. 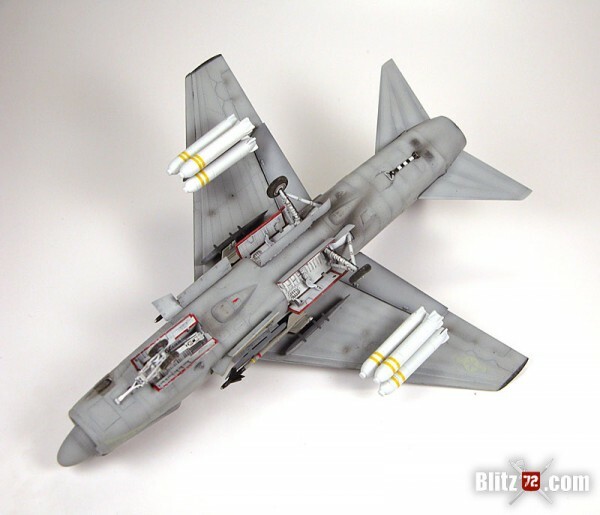 Then, after taking off it would meet a “Buddy Pack” equipped A-7 or A-6 and would “top off” on fuel. Triple A fire intensifies and a couple smoke columns raise in the darkness. SAMs have enter stage and along with the blinking threat warning lights on the panel indicate this Opera is reaching its “crescendo”. Chaff and Flares are profusely dispensed by all the A-7s at the exact same time and intervals in a choreography of lights and fire that would put the 4th of July festivities to shame. As Rockeyes left the under wing stations, the Corsair II #414 jumps nervously in the air until the pilot pushes the beast back down to 100ft and commands full throttle while checking the sky for bandits. Pilot changes arm switch to “AIR” and the buzz of the Sidewinder seeker joins the threat warning beeping in the headphones while the peeper happily dances and bounces on the HUD at the beat. You never know when those MiGs might show up. Exit stage by North, time to head home. At some point over Saudi Arabia the flock of thirsty Corsairs will raise from the desert floor and meet an Air Force KC-135A that would refuel them just before they head back to the carrier. The curtain of this Opera finally drops with the last trap just as dawn is setting in. Mission Accomplished Blue Hawks. 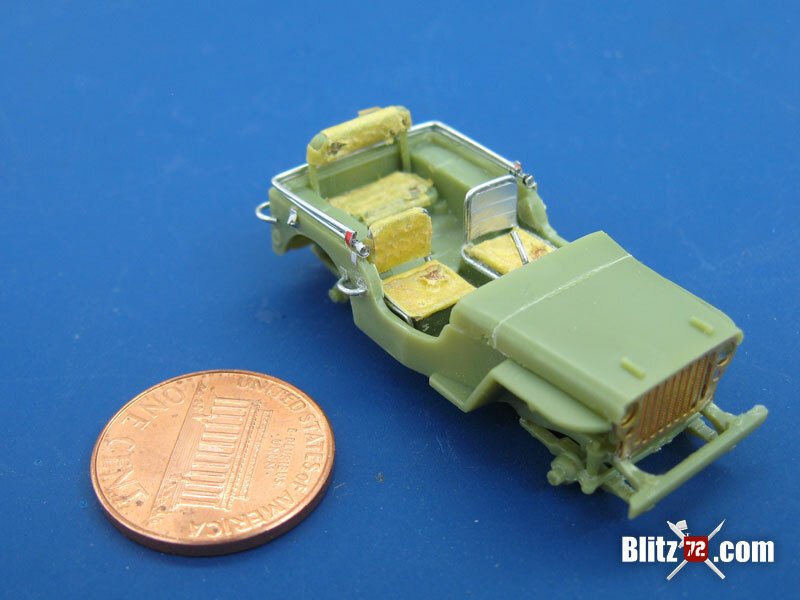 This is Hobby Boss 1/72 kit #87204 and upon first inspection the kit is excellent. The panel lines are recced, maybe a tad wide, but generally well defined. 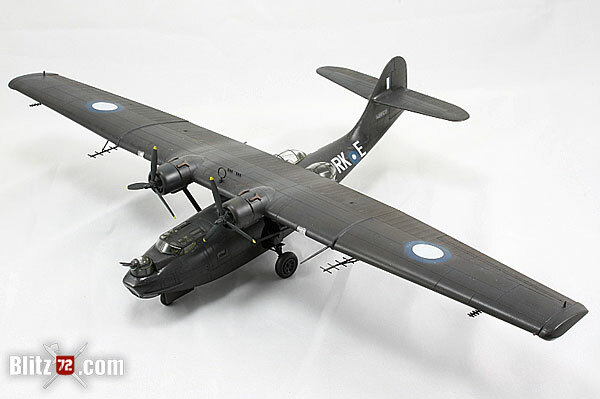 That, and the fact that it comes with an open and fully detailed electronic bay and landing gear, wells reminds me of Hasegawa’s 1/48 Corsair. However, looking at the interior we find a whole different type of model kit. Not even an attempt at an instrument panel, just flat pieces reminiscent of 1980’s kits, nothing like what you would expect on a modern kit. What is even worst is it doesn’t even include a decal sheet for the instruments, quite a disappointment. 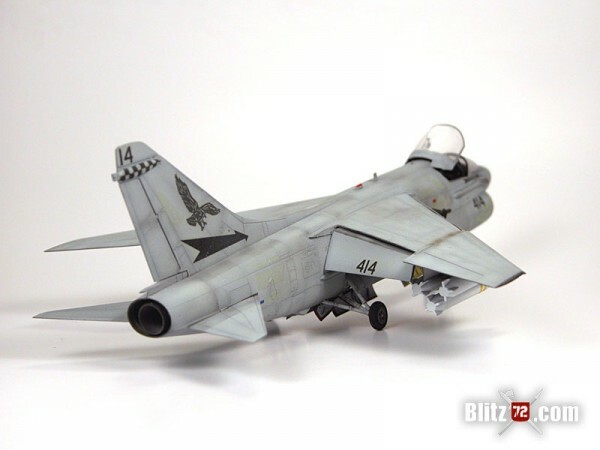 With the bittersweet taste left by the cockpit of this kit I decided to use an Eduard Zoom PE set marketed for the Fujimi #35121 Corsair kit for solve some of the HB shortcomings. 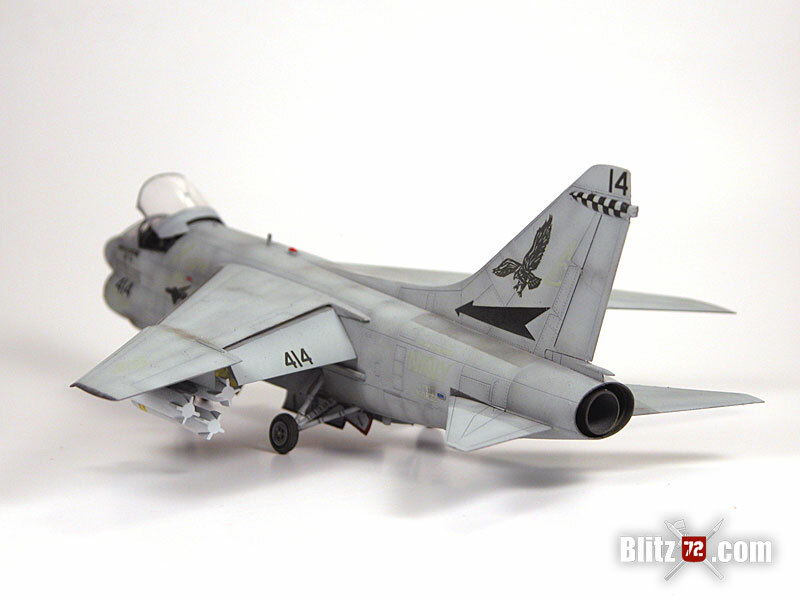 From the Fujimi kit I’d also scrounge the Desert Storm VA-72 decals. Assembly went on beautifully, with almost no putty required and just a bit of sanding on the seam lines. After the fuselage was ready I added a few missing details that according to my references were missing from the kit. Namely and cowling of the aft facing gun camera, and cockpit AC drain pipe, fuel vent tube near the camera but on the opposite side and the landing light on the nose gear door along with its wiring. 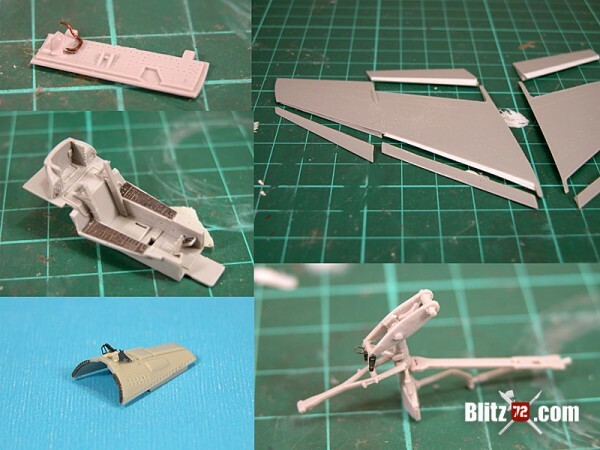 The rest of the details such as the chaff/flare dispenser and the landing lights comes from the Eduard set and the ESCAPAC 1G-2 ejection seat comes from Aires. For the flaps and slats I sliced the parts off the wings using the panel lines as reference. Then using plasticard I created the airfoil shape on them and re attached on a more relaxed position. Once the Fuselage was attached and the seam lines taken care of with slight filling and sanding the painting on the model started. For the camouflage I used Model Master’s FS36375, but since it is a one colour overall scheme I had to use the use pre-shading to create some interests and reproduce the dirty and patchy appearance of the real Aircraft. This was further accomplished by adding some white to the basic paint to give the idea of worn and sun bleached paint, specially on the upper surfaces. 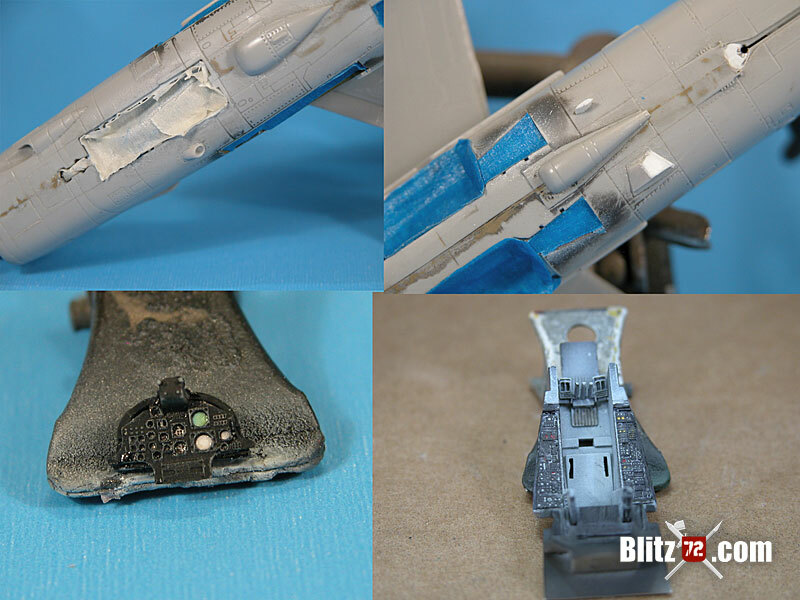 The paint process took several attempts until the desired effect was achieved and in the end the painting too more time than the assembly itself. Once the paint was cured it was sealed with Tamiya’s Clear until it was perfectly glossy and ready for decaling. 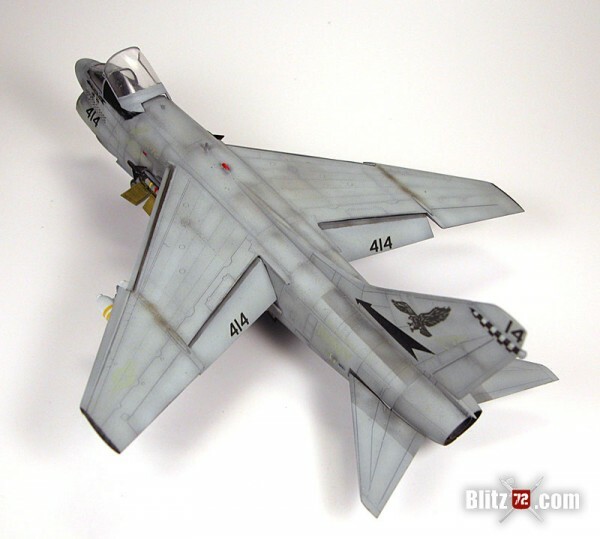 The Fujimi decals didn’t present any cracking or problems of any kind and they conformed to the surface of the model perfectly, even after being archived for a few years. 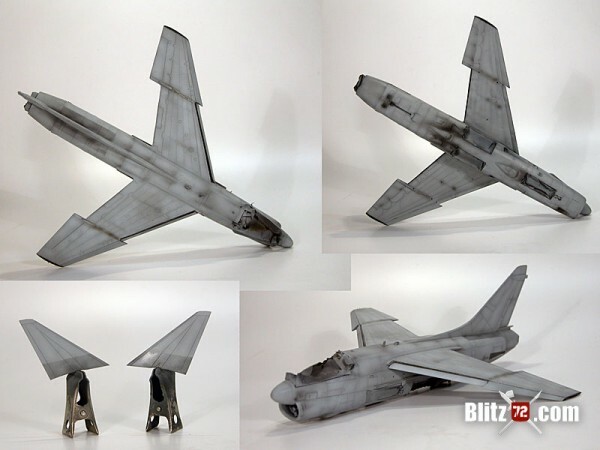 Unfortunately Fujimi didn’t pick the right gray for the markings and the contrast between these and the FS36375 base is not accurately reproducing that of the original airplane. However, I decided to press on and since this is no contest model I’ll content myself with the result even with the huge decal mistake by Fujimi. The MK 20 Rockeyes from from the spare box, but honestly can’t remember which kit they are from. Final assembly consisted in the attachment of painted sub components like the weapons, some weathering with washes and a flat coat. I’m quite happy with the model even with the way the decals came, and the Hobby Boss is a good option if we can get a Photo-Etch or resin set for the interior. All in all a great A-7E Corsair II model and a worthy tribute to a great Squadron and an even greater airplane. The A-7 Corsair II is sometimes an overlooked aircraft that seldomly gets the attention it deserves, but as the mission described above the VA-72 accomplished a total 362 sorties on Desert Storm without the loss of a single pilot or airframe. 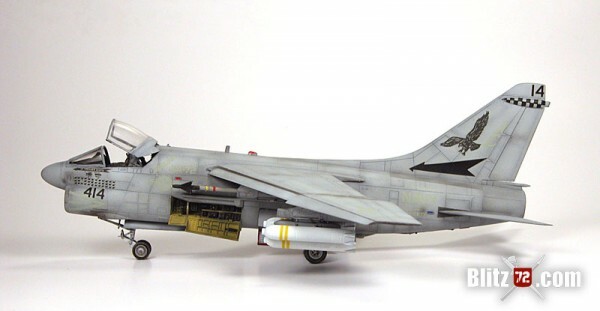 The A-7Es delivered 20% of the cluster bombs used in the War and they also threw every single free fall bomb type in service as well as HARMs, Walleyes and if they the pilots had a sliding door on that canopy I’m sure they would have lofted hand grenades too. Last but not least and thanks to the D-704 “buddy pack” refueling pod they even passed gas to their own A-7 brothers. “No slack in light attack” indeed. Very nice build. Correct me if I’m wrong,but I believe an A-7E was lost on the JFK after a very hard landing. 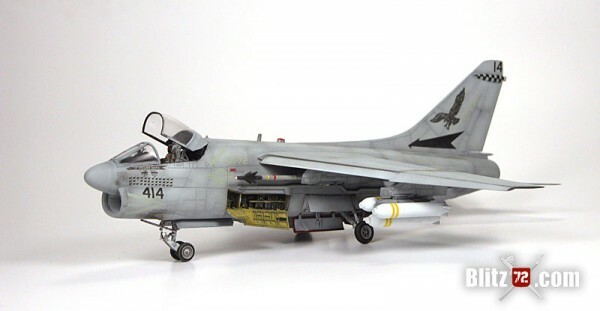 What’s up,I read your blog named “1/72 Hobby boss A-7E Corsair II from VA-72 in Desert Storm | Blitz72.com” daily.Your writing style is awesome, keep doing what you’re doing! And you can look our website about powerful love spells.